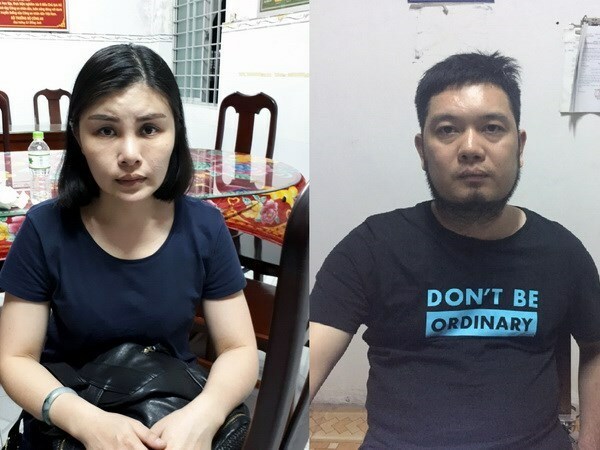 Quang Ninh (VNA) – Police of the northern province of Quang Ninh and the Ministry of Public Security said on February 5 that they arrested two Chinese persons who are being wanted by Chinese police for swindling and appropriating assets. Ceng Gou Qiang, 37, and his wife Yang Ming Hua, 36, residing in Nan’an city, Fujian province, China, are wanted by Police of Quanzhou city, Fujian province. They illegally entered Vietnam via the Mong Cai border gate in Quang Ninh province without passports and other personal documents issued by China. Getting the information from the Chinese police, the provincial police coordinated with police of Mong Cai city to verify and trace the two. Yang was arrested when she was hiding in the Mekong Delta city of Can Tho in the night of February 3. Ceng was then caught in Chau Thanh district, An Giang province several hours later.